Hard to believe that it’s been 30 years since the release of “Thriller” which was the 6th studio album by the late Michael Jackson [still odd to know he died over three years ago]. The album came out in the US on November 30, 1982. I lived in Garden Grove, CA at the time [my hometown] and actually worked at a record store – Music Plus on Harbor Blvd near Garden Grove Blvd. The excitement for this album was building in the weeks and months before it’s release as MJ’s previous album “Off The Wall” was a huge hit, coming just short of making Michael Jackson a household name. That feat would be accomplished after “Thriller” was out for just under a year. I bought a copy of “Thriller” on vinyl for $5.99 and later on cassette. The album cemented his name in music history in many ways, including the self-labeled “King of Pop” which would stay with him until his death. 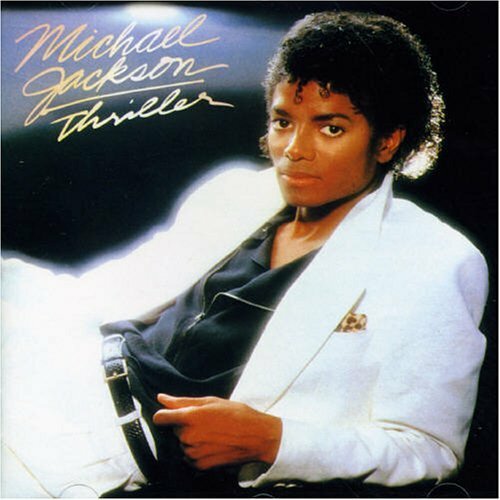 As of today and for the last 29 years of its release, “Thriller” is the world’s best selling album, estimated at 65-110 million [29 million of those are in the US]. Without hesitation, I have never really tired of listening to this album. Since the original release, there have been two reissues – one in 2001 and another called “Thriller 25” released over 5 years ago in February 2008. Both have bonus tracks and various other versions of the albums songs, which I have yet to hear. Any Thriller and/or MJ fans out there? Any stories of your first listens to the album? Anyone like me buy the album when it first came out? I was only 9 when this album came out but can honestly say it was one of the albums that got me interested in music to begin with. Hearing ‘Wanna Be Startin Something’ reminds me of getting ready for school as a kid. That’s awesome. I still love this album and it never gets old for me.